Use the supplied AC adaptor only. If you use other types, it may cause fire, electrical shocks or a malfunction. This appliance is classified as a CLASS 1 LASER product under IEC60825-1: 2001. If you have questions about this product, call our technical support line at 1-800-345-7669, or write to: Sony Computer Entertainment America Consumer Services/Technical Support PO Box 5888, San Mateo, CA 94402-0888 U.S.A. NOTE: This equipment has been tested and found to comply with the limits for a Class B digital device, pursuant to Part 15 of the FCC rules. These limits are designed to provide reasonable protection against harmful interference in a residential installation. This equipment generates, uses, and can radiate radio frequency energy and, if not installed and used in accordance with the instructions, may cause harmful interference to radio communications. However, there is no guarantee that interference will not occur in a particular installation. 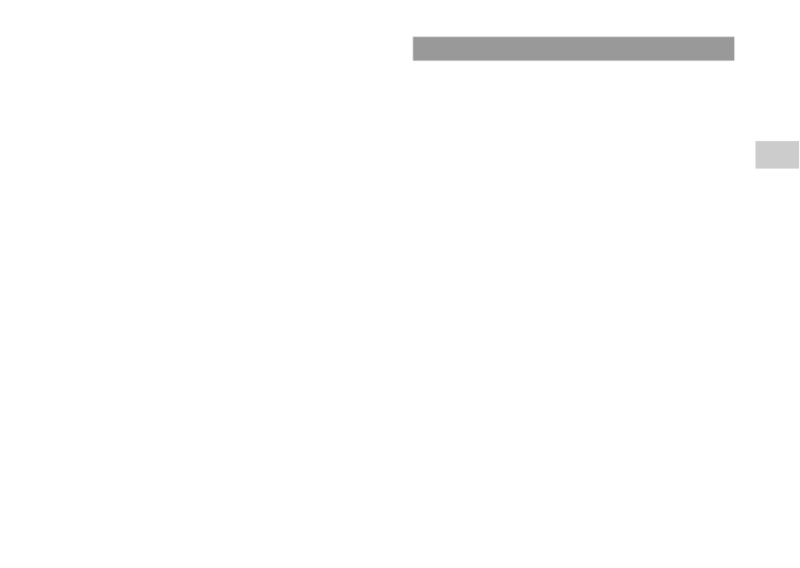 If this equipment does cause harmful interference to radio or television reception, which can be determined by turning the equipment off and on, the user is encouraged to try to correct the interference by one or more of the following measures: – Reorient or relocate the receiving antenna. – Increase the separation between the equipment and receiver. 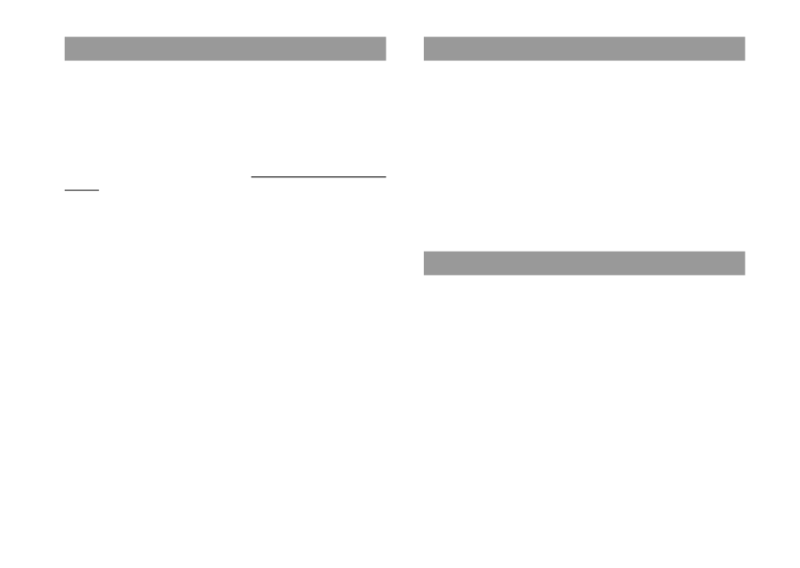 – Connect the equipment into an outlet on a circuit different from that to which the receiver is connected. – Consult the dealer or an experien ced radio/TV technician for help. FCC Radiation Exposure Statement This transmitter complies with FCC radiation exposure limit set forth for an uncontrolled environment. To comply with the FCC RF exposure compliance requirements, no change to the antenna or the device is permitted. Any changes to the antenna or the device could result in the device exceeding the RF exposure requirements and void user authorization to operate the equipment. 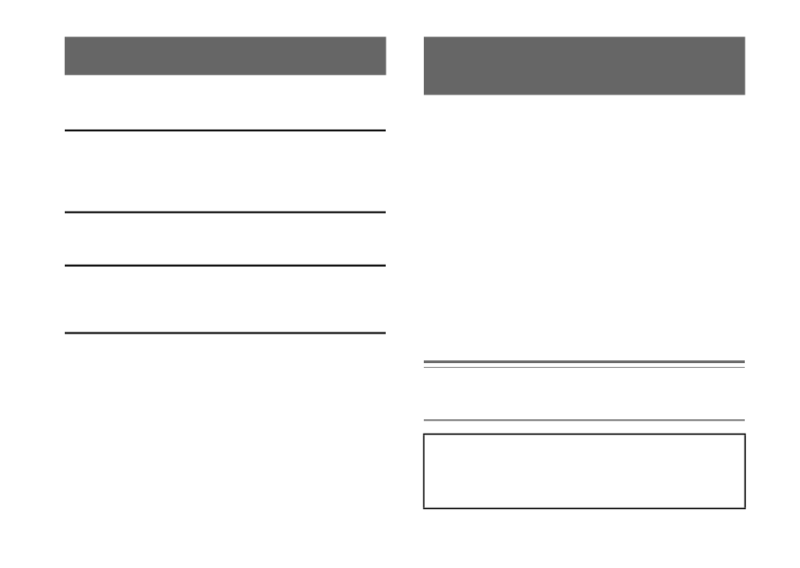 In addition, this transmitter must not be co-located or operating in conjunction with any other antenna or transmitter. This Class B digital apparatus complies with Canadian ICES-003. The term "IC" before the equipment certification number only signifies that the Industry Canada technical specifications were met. Operation is subject to the following two conditions: (1) this device may not cause interference, and (2) this device must accept any interference, including interference that may cause undesired operation of the device. IC Radiation Exposure Statement This transmitter complies with IC radiation exposure limit set forth for an uncontrolled environment. To comply with the IC RF exposure compliance requirements, no change to the antenna or the device is permitted. Any changes to the antenna or the device could result in the device exceeding the RF exposure requirements and void user authorization to operate the equipment. 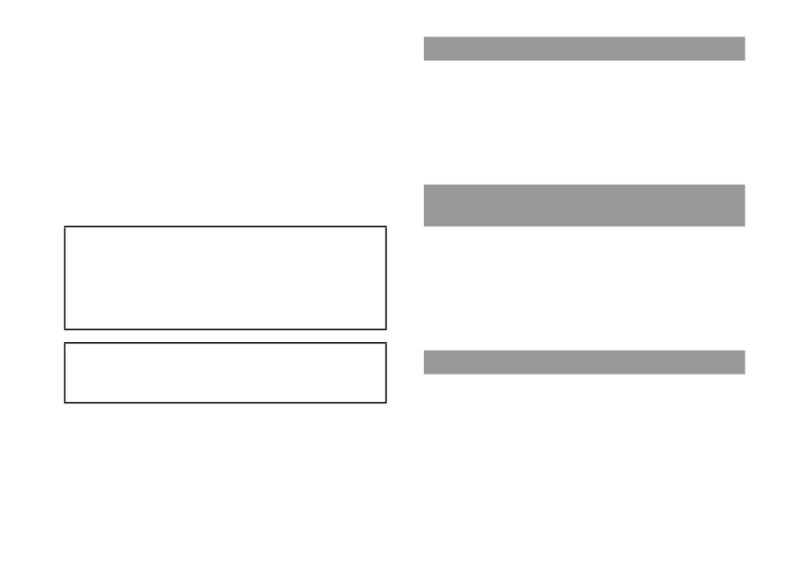 In addition, this transmitter must not be co-located or operating in conjunction with any other antenna or transmitter. A very small percentage of indi viduals may experience epileptic seizures or blackouts when exposed to certain light patterns or flashing lights. Exposure to certain patterns or backgrounds on a screen or when playing video games may trigger ep ileptic seizures or blackouts in these individuals. These conditions may trigger previously undetected epileptic symptoms or seizures in persons who have no history of prior seizures or epilepsy. If you, or anyone in your family, has an epileptic condition or has had seizures of a ny kind, consult your physician before playing. IMMEDIATELY DISCONTINUEuse and consult your physician before resuming gameplay if you or your child experience any of the following health problems or symptoms:  dizziness,  altered vision,  eye or muscle twitches,  loss of awareness,  disorientation,  seizures, or  any involuntary movement or convulsion. RESUME GAMEPLAY ONLY ON APPROVAL OF YOUR PHYSICIAN. Use and handling of video games to reduce the likelihood of a seizure  Use in a well-lit area and keep the screen a safe distance from your face.  Avoid prolonged use of the PSP®system. Take a 15-minute break during each hour of play.  Avoid playing when you are tired or need sleep. Radio waves may affect electronic equipment or medical devices (for example, pacemakers), which may cause malfunctions and possible injuries.  If you use a pacemaker or other medical device, consult your physician or the manufacturer of your medical device before using the wireless LAN feature.  Do not use the wireless LAN feature in the following locations: – Areas where wireless LAN use is prohibited, such as in hospitals. Abide by medical institution regulations when using the system on their premises. – Areas near fire alarms, automatic doors and other types of automated equipment. Sony Computer Entertainment Inc. uses DNAS (Dynamic Network Authentication System), a proprietary authentication system, to help protect copyright and security in connecting the PSP®system to a network. DNAS may retrieve information about a user's hardware and software for authentication, copy pr otection, account blocking, system, rules, or game management and other purposes. The information collected does not identify the user personally. The unauthorized transfer, exhibition, export, import or transmission of programs and devices circumventing its authentication scheme may be prohibited by law. 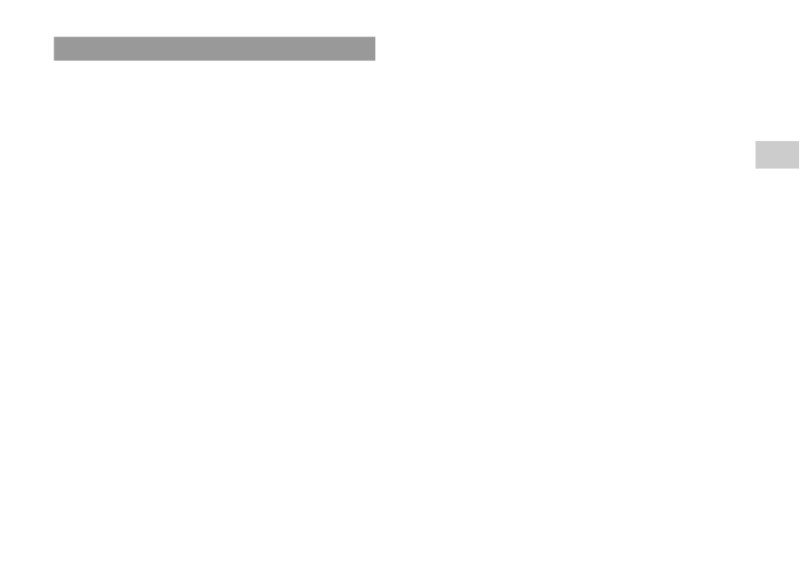 The system software included within this product is subject to a limited license from Sony Computer Entertainment Inc. Refer to http://www.scei.co.jp/psp-eula for further details. WARNINGS . . . . . . . . . . . . . . . . . . . . . . . . . . . . . . . . 2 About the PSP® . . . . . . . . . 6system documentation . 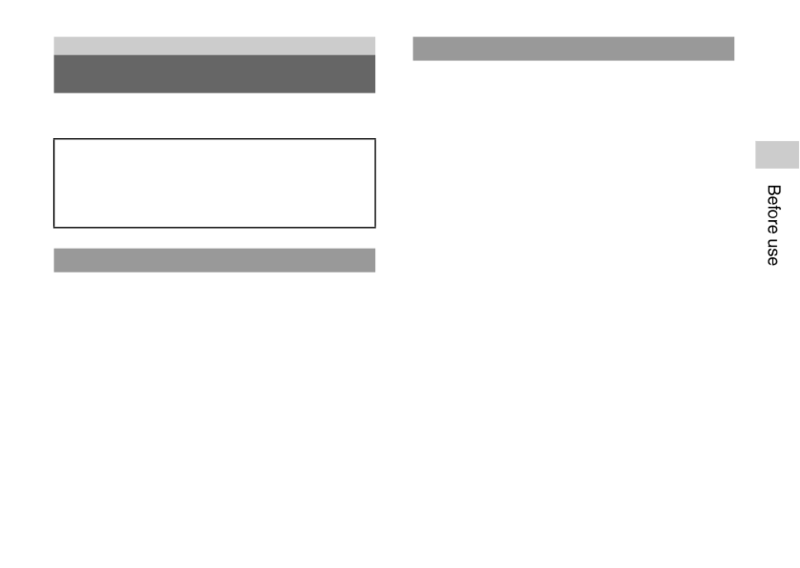 Information about system functionality published in this document may vary from the information for your PSP®system, depending on the system software version in use. Safety and Support (this document) This document contains safety information related to the use of the PSP®system, troubleshooting, specifications and other information. 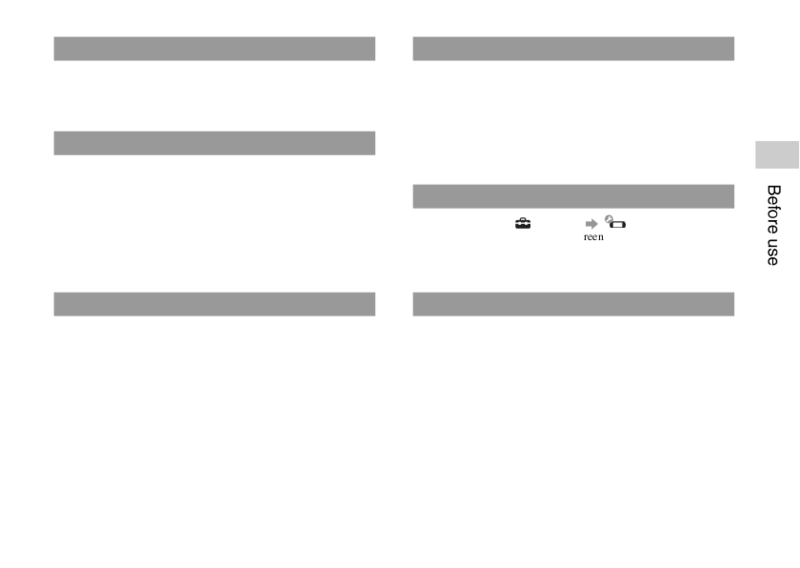 Quick Reference This document contains informati on on basic hardware operations of the PSP®system. User's Guide (http://manuals.playstation.net/document/) This online document is accessed through the Internet and contains detailed information related to use of the PSP®system software. Notice For up-to-date information regarding the PSP®system, visit http://www.us.playstation.com/psp. 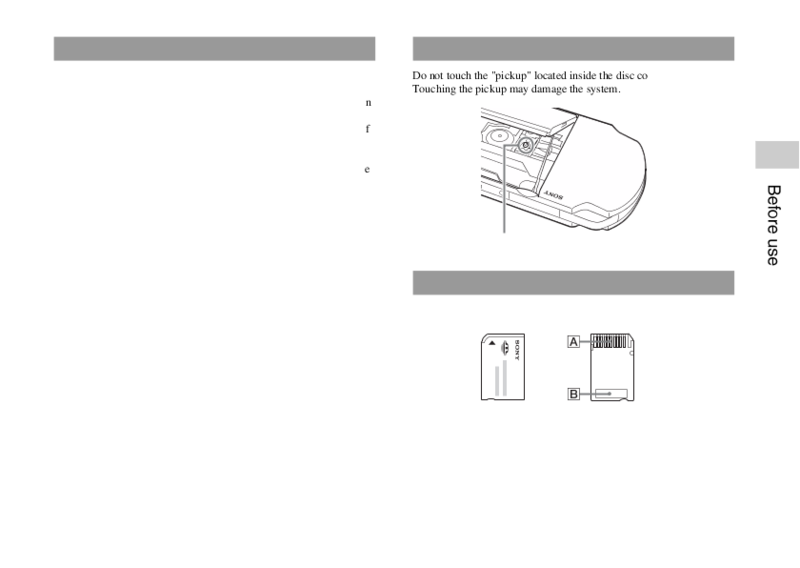 Various accessories for the PSP®system are mentioned throughout this documentation. Note however that the accessories supplied with your system depend on the product purchased. Before using this product, carefully read this manual and retain it for future reference. Accessory compatibility The accessories that are supported by this system may differ from those of the PSP-1000 series PSP®system. For details, visit http://www.us.playstation.com/psp or call SCEA Consumer Services at 1-800-345-7669. This product has been designed with the highest concern for safety. However, any electrical device, if used improperly, has the potential for causing fire, electrical shock or personal injury. To help ensure accident-free operation, follow these guidelines:  Observe all warnings, precautions and instructions.  Regularly inspect the AC adaptor and AC power cord.  Stop use, unplug the AC power cord from the electrical outlet and disconnect any other cables immediately if the device functions in an abnormal manner, produces unusual sounds or smells or becomes too hot to touch.  Call SCEA Consumer Services at 1-800-345-7669 if the device does not operate properly.  Use in a well-lit area and keep the screen a safe distance from your face.  Avoid prolonged use of the PSP®system. To help prevent eyestrain, take a break of about 15 minutes during every hour of play.  If you experience any of the following health problems, discontinue use of the system immediately. If symptoms persist, consult with your physician. – Dizziness, nausea, fatigue or symptoms similar to motion sickness – Discomfort or pain in a part of the body, such as eyes, ears, hands or arms  Exercise care when setting the volume. If you set the volume too high, it may harm your hearing or damage the speakers.  Keep the system and accessories out of the reach of small children. Small children may swallow the Memory Stick Duo™ or wrap the cables/straps around themselves, which may inflict injury or cause an accident or a malfunction.  Do not use the system while driving or riding a bicycle. Looking at the screen or operating the system while driving an automobile or riding a bicycle may result in a traffic accident.  Take extra care when using the system while walking.  Be careful not to pinch your fingers when closing the disc cover.  Do not use the system or accessories near water.  Use only attachments/accessories specified by the manufacturer.  Do not use the headphones if they cause discomfort to your skin. If the headphones cause discomfort to your skin, discontinue use immediately. If symptoms do not subside even after discontinuing use, seek medical attention.  Do not expose the system or accessories to high temperatures, high humidity, or direct sunlight.  Do not leave the system or accessories in a car with the windows closed (particularly in summer).  Do not expose the system or accessories to dust, smoke or steam.  Do not touch the plug of the AC power cord with wet hands.  Do not touch the AC power cord, AC adaptor or the system, if connected to an electrical outlet, during an electrical storm.  Do not use a power source other than the supplied (or approved replacement) battery pack, AC adaptor and AC power cord.  Unplug the AC power cord from the electrical outlet, disconnect any other cables and remove the battery pack from the system before cleaning or when you do not intend to use the system for an extended period of time.  Protect the AC power cord from being walked on or pinched particularly at plugs, convenience receptacles and the point where they exit from the system.  When disconnecting the AC power cord, hold it by the plug and pull straight out from the electrical so cket. Never pull by the cord and do not pull at an angle.  Do not use the system to play games or video when the system is covered with any type of fabric. If you want to pause or temporarily store the system while playing games or video, put the system in sleep mode before placing it in the case or covering. Also do not use the AC adaptor when covered with fabric. This may help to avoid overheating.  Do not connect the AC power cord to a voltage transformer or inverter. Connecting the AC power cord to a voltage transformer for overseas travel or an inverter for use in an automobile may cause heat to build up in the AC adaptor and may cause burns or a malfunction.  The socket-outlet shall be installe d near the equipment and shall be easily accessible.  The LCD screen is made of glas s and may crack if subjected to excessive force.  Black (dark) pixels and continuously lit pixels may appear in certai locations on the LCD screen. The appearance of such spots is a normal occurrence associated with LCD screens and is not a sign o a system malfunction. LCD screens are made using highly precise technology. However, a very sma ll number of dark pixels or continuously lit pixels exist on each screen. Also, a distorted imag may remain on the screen for several seconds after the system has been turned off.  Direct exposure to sunlight may damage the system's LCD screen. Be careful when using the system outdoors or near a window.  When using the system in a cold environment, you may notice shadows on the graphics or the screen may appear darker than usual. This is not a malfunction, and the screen will return to normal when the temperature goes up.  Do not leave still images displayed on the screen for an extended period of time. This may cause a faint image to be left permanently on the screen. When using Memory Stick Duo™ media without an erasure prevention switch, take care not to overwrite or delete data by accident. If your Memory Stick Duo™ media has an erasure prevention switch, you can prevent data from being saved, edited, or deleted by setting the switch in the LOCK position. Recorded data Do not use the Memory Stick Duo™ in the following ways, as doing so may result in data loss or corruption:  Removing the Memory Stick Duo™ or turning off the system while it is loading or saving data or being formatted.  Using it in a location that is exposed to static electricity or electrical interference. If, for any reason, software or data loss or corruption occurs, it is usually not possible to recover the software or data. It is recommended that you regularly back up software and data. Sony Computer Entertainment Inc. and its subsidiaries and affiliates will not be held liable for any damages or injury in the case of software or data loss or corruption. In accordance with copyright law, no recorded data may be used for purposes other than personal enjoyment without permission from the copyright holder. Cases and coverings  When placing the PSP®system in a commercially available case, turn off the power or put the system in sleep mode. Do not use the system while it is in the case. Leaving the system on, or using it while in a case or covering may cause overheating or may damage the system.  Put both the PSP®and the remote control in hold mode tosystem help prevent unintended operation. 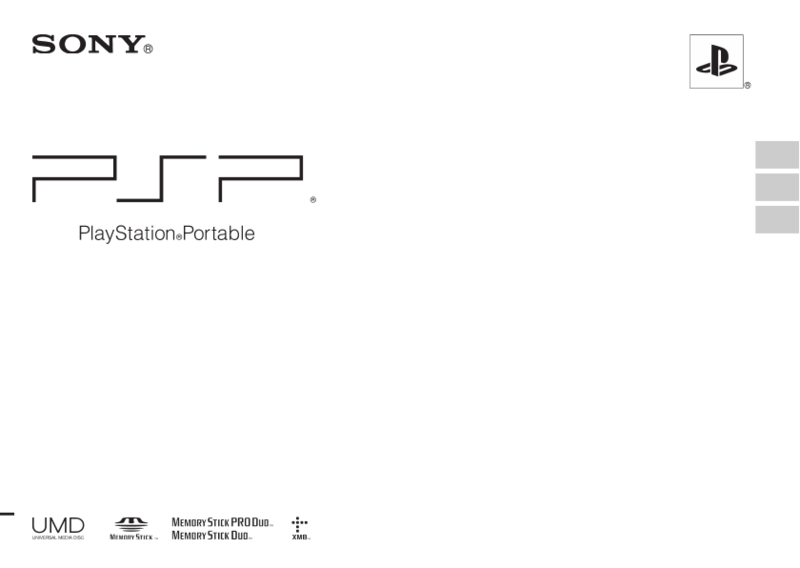 Use the PSP®system and accessories according to the instructions in this manual. No authorization for the analysis or modification of the system, or the analysis and use of its circuit configurations, is provided. Disassembling will void the system warranty. Additionally, there is a risk of fire, electrical shock or malfunction. 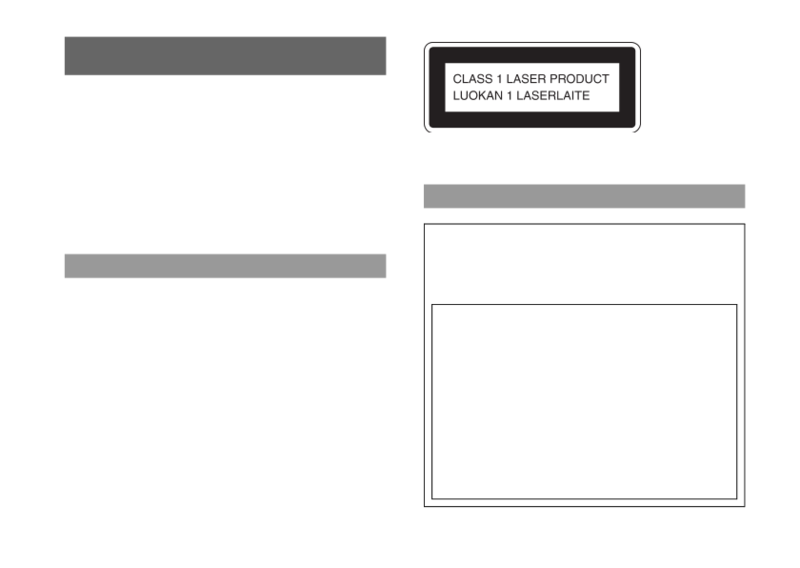 The LCD screen, in particular, contains dangerous, high-voltage parts, and the laser beam for reading UMD™ may cause visual impairment if exposed directly to the eyes. When using the PSP®system's 'Scan' function to select a wireless LAN access point, access points that are not intended for public use may be displayed. Only connect to a personal access point that you are authorized to use, or one that is available through a commercial wireless LAN or hotspot service. User is responsible for all fees associated with wireless LAN access. Depending on the country, there are limitations on the use of certain types of radio waves. In some cases, use of the system may lead to a fine or other penalty. Moisture condensation If the PSP®system or UMD™ is brought directly from a cold location to a warm one, moisture may condense on the lens inside the system or on the UMD™. Should this occur, the system may not operate properly. In this case, remove the UMD™ and turn off and unplug the system. Do not put the UMD™ back in until the moisture evaporates (this may take several hours). If the system still does not operate properly, visit www.us.playstation.com/psp or contact our technical support line at 1-800-345-7669 for assistance.  Do not touch the opening on the rear of the disc (recorded surface of the disc) with your fingers.  Do not allow dust, sand, foreign objects or other types of dirt to get on the disc.  If the UMD™ becomes dirty, gently wipe the exterior and recorded surfaces of the UMD™ using a soft cloth. Do not use solvents or other chemicals.  Do not use a UMD™ that is cracked or warped or has been repaired. The UMD™ may break inside the PSP® system, leading to injury or malfunction. Follow the guidelines listed below to help avoid deterioration or discoloration of the PSP®system:  Do not use solvents or other chemicals to clean the exterior surface.  Do not allow the system to remain in direct contact with rubber or vinyl products for an extended period of time.  Do not use a chemically-treated cleaning cloth to wipe off the system.  Before using the analog stick For best results, go to (Se ttings) (System Settings) and then with the "System Information" sc displayed, rotate the analog stick in a circular motion. This will adjust the analog stick's range of movement. For safety reasons, unplug the AC power cord from the electrical outlet, disconnect any other cables and rem ove the battery pack from the system before cleaning. Cleaning the exterior surface and LCD screen Wipe gently with a soft cloth. Cleaning the connectors If the headphones or remote control connectors become dirty, this could cause noise or interruptions in sound. Wipe the connectors with a dry, soft cloth to keep in clean condition.